Jesus is the source of truth, but what does that mean to us in practical terms? Well, firstly it means that we have a simplified and clearer principle of biblical interpretation. We can understand the whole of the Bible through the lens of Jesus words, works, and what he reveals of the nature and character of the Godhead. Secondly, there is a greater possibility of different believers and groups agreeing on issues of doctrine and practice. If all Christians make Jesus their focus and interpretive key then we will agree on a lot more and disagree only on peripheral issues. And thirdly, we will have a greater appreciation for the unity of the scriptures and their central purpose, which is to reveal and interpret the life of the incarnate Word of God. God the Son came to earth not just as a materialisation, but as an incarnation. He became a man and he remains eternally as a divine man. He ascended into heaven in bodily form in full view of his disciples (Acts 1:9). On the day of Pentecost, just a week later, he sent the Holy Spirit into the world. The Holy Spirit’s main tasks on earth are to point us to Jesus, illuminate his words to us, provide us with a way of relating to him, and empower us to live and minister like him. The Holy Spirit’s interface between Jesus and us is so intimate and close that the scriptures sometimes refer to him as the “Spirit of Christ” (1 Peter 1:11) and the “Spirit of Jesus Christ” (Philippians 1:19). Our relationship with God is not a mental interaction with a concept but a real and personal interaction with Jesus, the Living One (Revelation 1:18). Jesus is the one who has eternally existed as God (John 1:1–2), the one who incarnated on earth (John 1:14) and who lives on in heaven (Hebrews 1:3). He is the one who created life by his word (Colossians 1:16), who spoke his life-giving word whilst on earth, who caused it to be recorded in the Bible, and who illuminates it to us today through the ministry of the Holy Spirit. 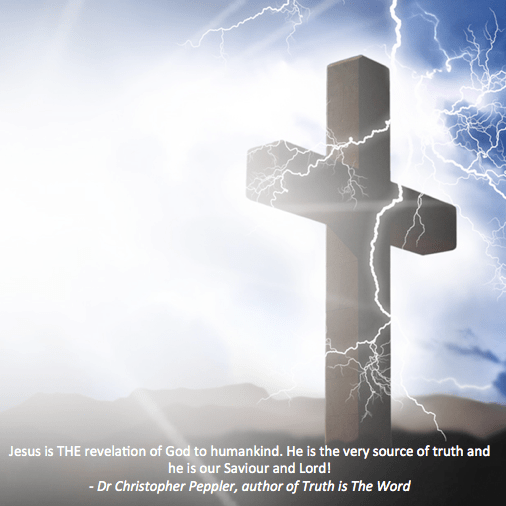 Jesus is THE revelation of God to humankind. He is the very source of truth and he is our Saviour and Lord!